A while ago we posted a list of 5 amazing places to see near Venice. Padova (in English Padua) was not in that list but it’s still one of the major cities near Venice, very comfortable to reach, and with many great things to see. You see, Padova was for century under the control of the Republic of Venice, and its structure and history are very tied to the Serenissima. 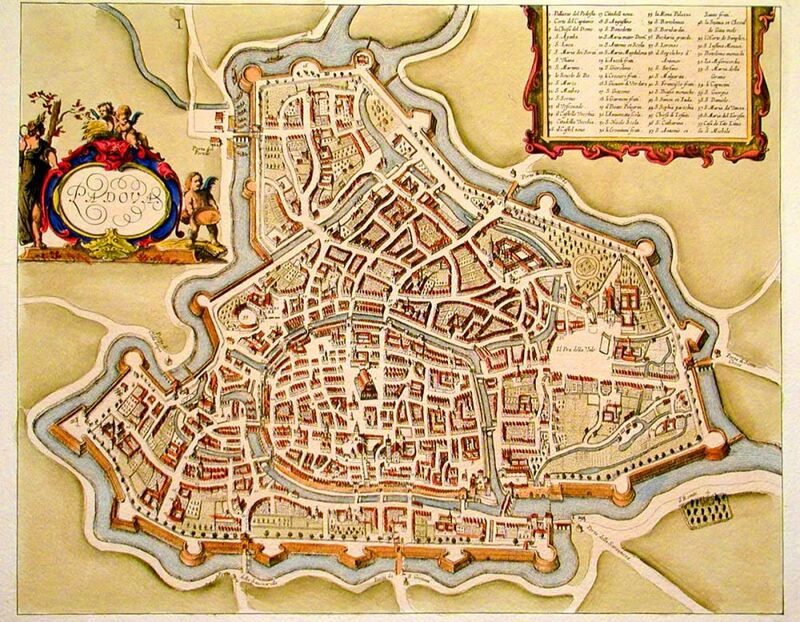 Just to give you an idea, most of the canals (that you can also see on the map above) are artificial, and were build specifically in order to allow boats from Venice to arrive right in the center of the city, for commerce. Today, it is still possible to travel by boat, even oaring, straight from Padova to Venice. I’ll be honest with you, I was raised in Padova, and thus my judgment may be a little partial, but still I swear to you: if you want to visit Veneto and not just Venice, Padova is definitely a must see. 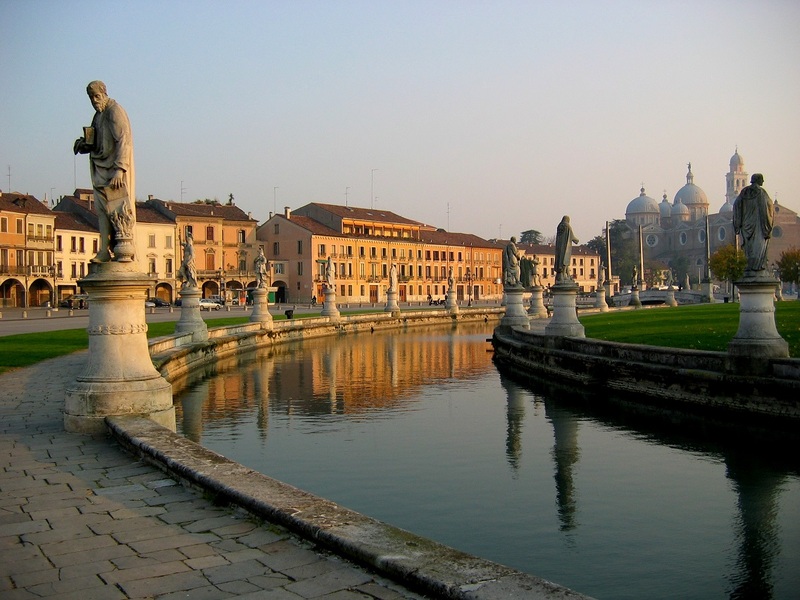 Reaching Padova from Venice is incredibly easy and cheap, by regional train. 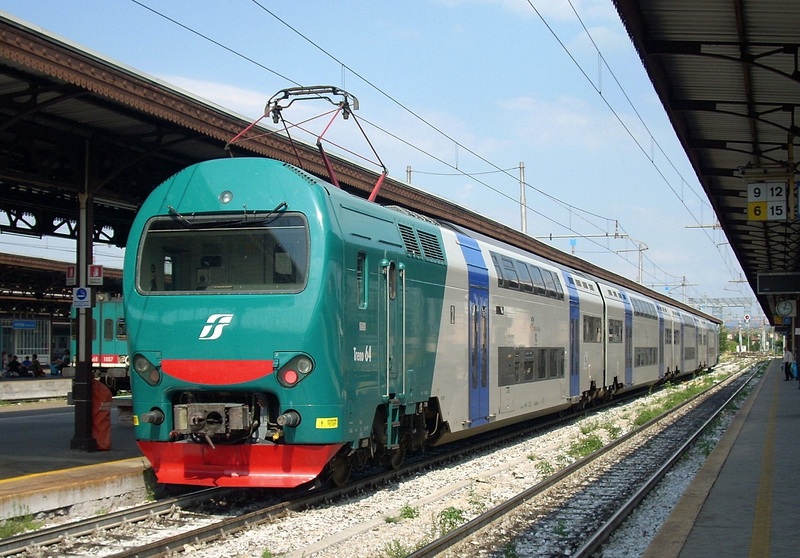 Keep in mind, there are two main group of trains in Italy: regional trains make several stops (in Veneto they’re usually colored by green and white) but are cheap, le Frecce (FrecciaRossa, FrecciaArgento, etc.) are faster but much more costly. 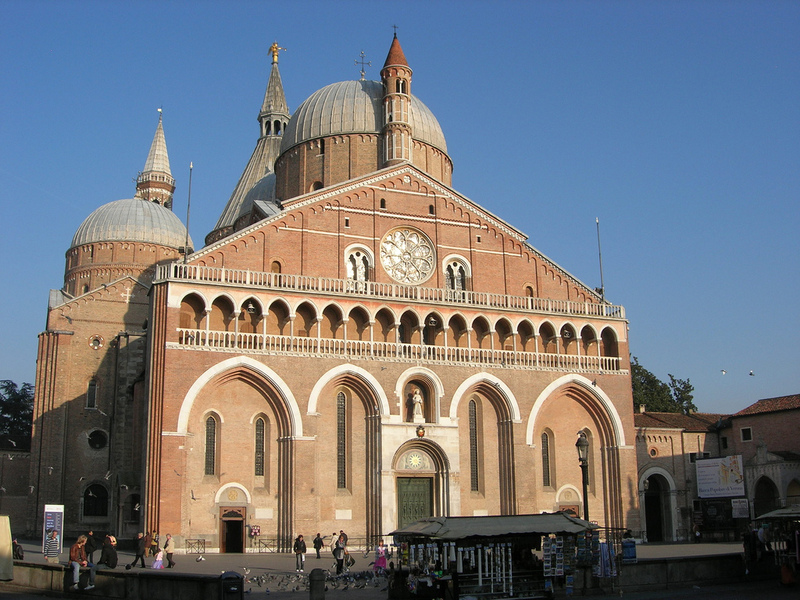 The trip by train from Venezia Santa Lucia or Venezia Mestre to Padova takes by train 30-45 mins with a regional train, and 25 mins by frecciarossa. Not much of a difference, right? The price instead is very different: 4.05€ by regional train, 15€ by FrecciaRossa. If you don’t like trains, there are also buses leaving from Piazzale Roma, to Padova, but it don’t recommend it, as the trip will take quite a while (also it’s not cheaper than a regional train). Visting most of the city by foot is possible and it will take you somewhere between half a day and a day, depending what you choose to see. Supposing you arrive in Padova by train, you’ll see a big “corso”, a big road right in front of the Station, going straight. That’s Corso del Popolo. Just follow it and in 20 minutes you will reach the center (which is a pedestrian only area). This is one of the two things for which Padova is famous. 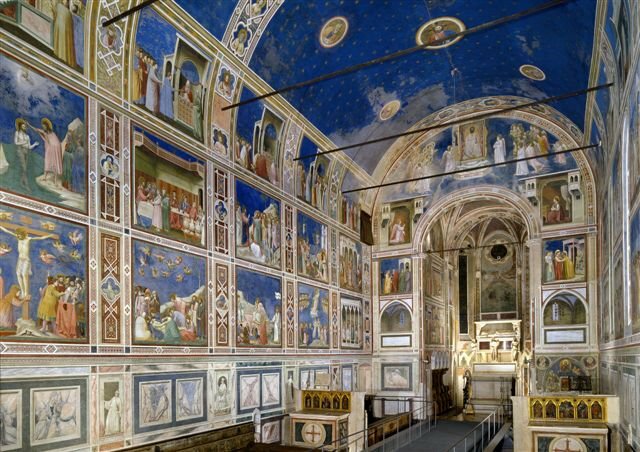 Cappella degli Scrovegni was a private chapel belonging to the Scrovegni family, a noble family of the area, which is completely painted by Giotto. Heading inside the chapel, is an experience I strongly recommend: the artistic value is just incredible, the surprise for such a small hidden treasure in a not so famous city like Padova is also very precious. You will find it very easily while going from the train station to the center. Halfway you’ll see a garden on your left: the chapel is right there. You must book your visit at least a day in advance. Piazza dei Signori (that could be translated into square of the lords) is famous mainly for the clock, that will show not only the current time but also the moon phase. 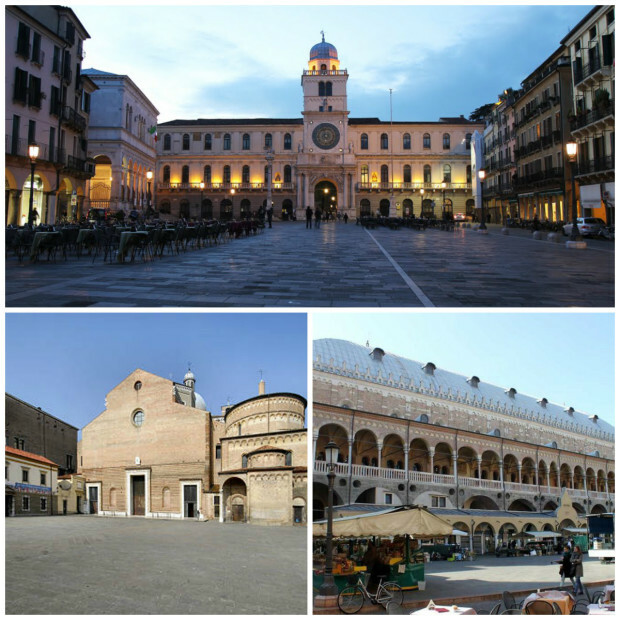 Piazza del Duomo clearly hosts the Duomo of Padova, very simple in its architecture, as in the typical style of most North East Italy cities. Piazza della Frutta on one side, and Piazza delle Erbe on the other, surround the “Palazzo Della Ragione”, building once used for meetings among the lords, discussing law etc. You could visit the inside, which I recommend, but this comes for a price (like everything in Italy). Bonus: under Palazzo della Ragione there’s a gallery. That gallery is called “Il Salone” and hosts several food shops like cheese, cold cuts, meat, an excellent winery, and much more. If you like Italian food, you should definitely take a walk inside. 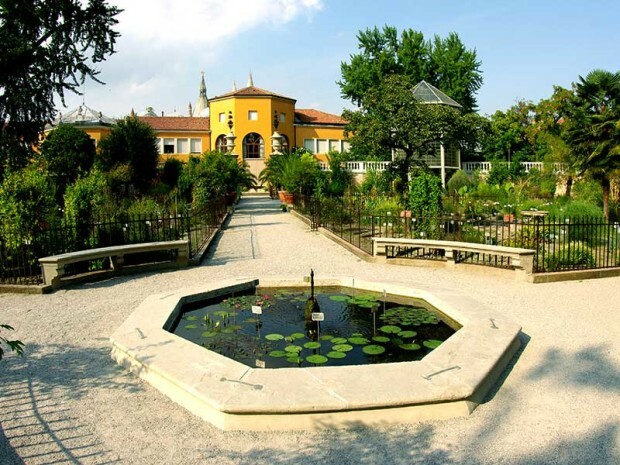 The Botanical Garden of Padova is the most ancient university botanical garden still in the original location. It was founded in 1545 and is a UNESCO world heritage since 1997. Full price ticket is 10€, note that it’s closed from December to March. Prato della Valle, located after the long “via Roma”, is one of the biggest squares in Europe. An excellent area for ending your walk in Padova, looks like a small green island surrounded by a water ring, was actually the result of a terrain reclamation of the 14th century. Walk around the island or cross it to reach the fountain in the middle. During spring/summer it’s a very visited area of the city, where people go to play football or sunbath. Sant’Antonio, short for the Basil of Saint Antonio from Padova, patron of the city and buried inside the basil. It’s the thing for which Padova is most famous, and destination of thousands of pilgrims every year. The entrance is free. Remember that you can’t take pictures inside and that you must be dressed properly. Inside there are several art treasures, you can walk around the whole basil, which is quite big, and reach the tomb of Sant’Antonio, where most pilgrims gather to pray or leave prayers. Some may argue that la Specola is not the most famous or most beautiful place of Padova, but I must disagree. For me, it’s the most special place of Padova: the quiet and silence are incredible, the walk on the canal riverside is romantic, and the sense of peace that it triggers is unparalleled in the whole city. Besides being beautiful, la Specola is historically important as an astronomic observation tower. 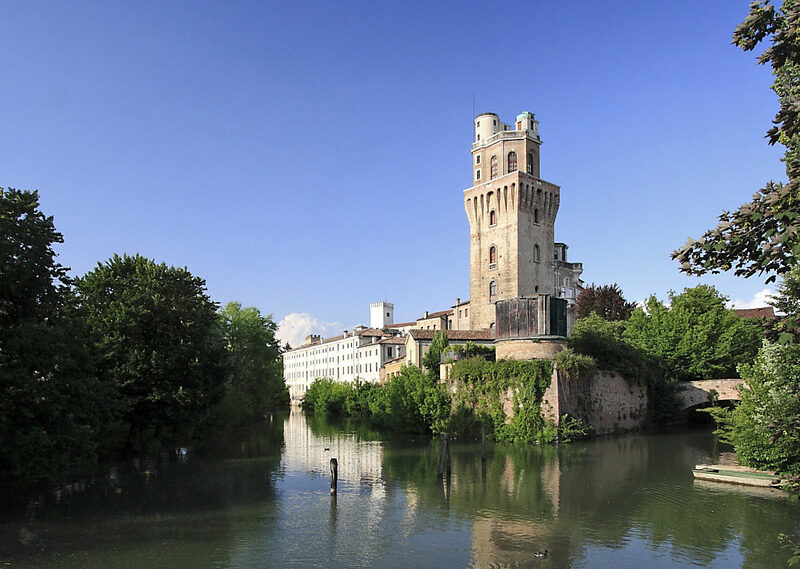 The tower was originally a defense outpost built in the 9th century and became part of the university of Padova in 1700. Believe me, this is the most romantic place of Padova. Bonus: my favorite restaurant of Padova, Venice and the whole Veneto is here. Ai Navigli. Thank you for your great article. I can’t wait to see it all!